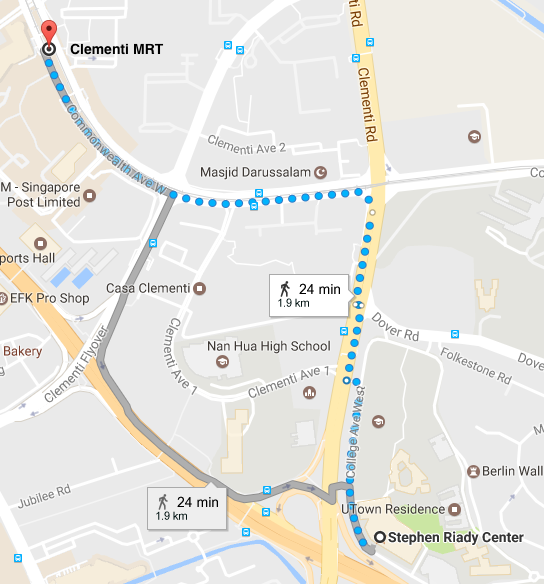 Kent Ridge (CC24) on the Circle line (yellow): Take Exit A to the bus stop outside and board the NUS internal shuttle bus D2 to UTown (free). 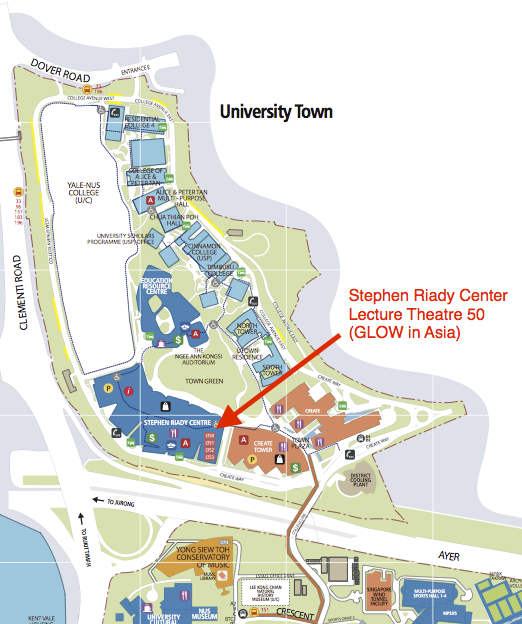 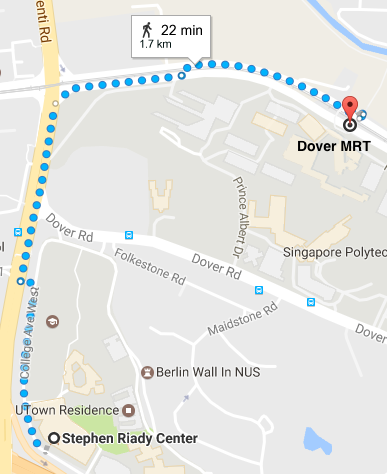 Alternatively, take bus 196 from the bus stop opposite Anglo-Chinese JC and get off at “NUS UTown” (5 stops). 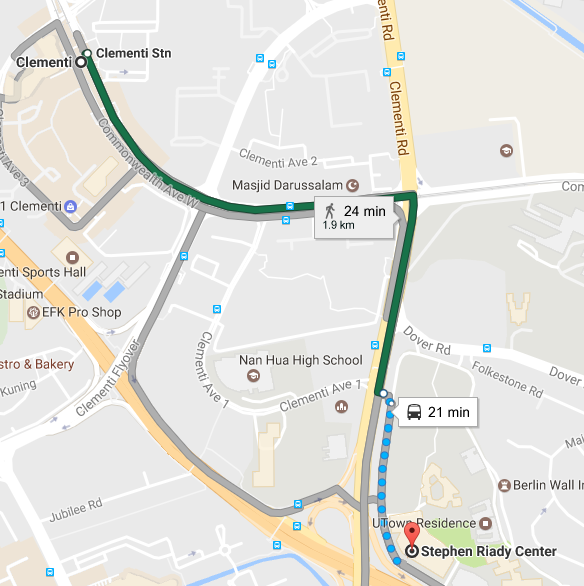 Clementi (EW22) on the East-West line (green): walk 24 minutes or take exit B and take bus 183 and get off at “Transview Golf Club” (3 stops).